So, what can you crochet in just 30 minutes? A quick browse through Carol Meldrum’s book reveals that you can actually accomplish quite a lot in a short space of time. I love the layout of Carol’s latest book, the project grid at the front lets you see all the makes at a glance and the photography is very clear. I can think of lots of crochet friends who would appreciate this book and I have already seen lots of autumnal crochet wreaths, inspired no doubt by the patterns here for a tiny toadstool, acorns and leaf motifs. There’s a very useful techniques section, which I road tested at a beginner crochet class last week. The ladies all agreed they would be tempted to pick it up and “Have a go”, in fact I’ve heard since that two have added it to their Christmas list! The projects are divided into beginner, intermediate and experienced level patterns, which means that everyone can find something to suit their skills, and nothing boosts the confidence of a new crocheter than completing a project listed as “intermediate”. If you’re stuck for some present inspiration this Christmas, this book might fit the bill. 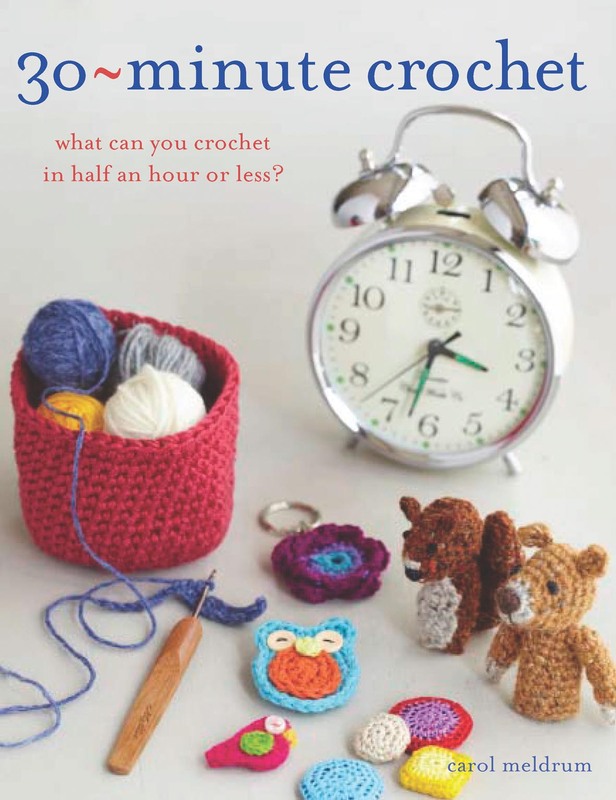 I can see it appealing to younger crocheters, who will love the cutesy owls, bunny and fox. For the more experienced, there is lots of inspiration to be had as many of the patterns lend themselves to other projects. You could add some crochet applique to a cushion perhaps or whip up a few snowflakes to make a festive garland. Published by Search Press and available now, this definitely gets the “thumbs up”!